Now THAT’s what I call a chair for a storyteller! That’s why being asked to host the local World Book Night (WBN) for Falkirk Libraries meant so much to me. There I was, back in Denny Library, where I once stood behind the counter issuing books to readers but this time I was the author! The old Denny Library where I worked on Saturdays. The stunning new library is on the same site and it’s now the centrepiece of the redevelopment of the town centre. I’ve previously blogged about my passion for libraries and I’ve always been very vocal on social media in my belief that libraries are the heartbeat of a community and are essential as dream factories. The gorgeous new Denny Library. Books on the shelves of a library are full of people I’ve yet to meet, places I’ve yet to visit and adventures I’ve yet to have and my world would have been far smaller without access to my local library as a child. Growing up with weekly visits to Bonnybridge Library made me an avid reader and this love of words created the desire to become an author. Fab mural on the exterior of Bonnybridge Library. I can’t think of a better way to celebrate the written word than to hold a spoken word event and it was a privilege to spend Saturday afternoon (WBN falls on a Sunday this year so our event was a wee bit early) with poets and authors who came to share their work with the local community. An honour to read my novel at the library I once worked in! There were superb readings from debut novelist, Ross Sayers who read extracts from Mary’s the Name, Emma Mooney read from her novels, A Beautiful Game and Wings to Fly, Charlie Clark read from his debut novel, Empty Dark, Moira Martin and Anne Dromgoole from Denny Writers read their short stories, and we heard powerful poetry from Lesley Traynor, Carol Harley, Maggie Laidlaw and Janet Crawford. 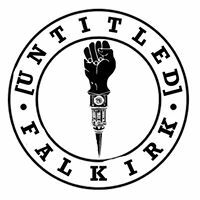 It doesn’t need to be WBN to have a gathering of performers and it would be great to see libraries across Scotland hosting regular spoken word events. It might be another way of making sure a library remains the beating heart of a community because the worry is, if you don’t use it, you lose it! In the build up to Untitled Six Live event (in conjunction with The Grind), one of the promotional posters stated that there were 6 reasons why it was a good idea to buy a ticket. Just reading the poster made me burst with pride – I’d be sharing a stage with writers I admire AND raising money for charity! No. 6 is even more significant after reading that there’s been a shocking increase in the number of teenagers turning to Falkirk Foodbank for help. Daring to perform alongside big names in Scottish writing. Apart from making a mess of my slot, my biggest fear was being star-struck. I’ve met Janice Galloway before, when she led a writing workshop and I’ve heard her speak several times but to be listed on the poster alongside a literary idol was Christmas come early for me. I’m glad to report I lived to tell the tale and was given a generous welcome on and off stage. Of course, Janice was as captivating a performer as ever, reading from her evocative short story collection, Jellyfish but the other writers also blew the crowd away. Being back in his home-town, the audience loved Alan Bissett in the role of ‘Moira’ and his reading of old poems from Falkirk’s archives. A rising star on the spoken word scene is another local, poet John Kennedy, whose performance went down a storm. Unknown to me, poet Maggi Gibson has Falkirk connections and her selection of poems were a perfect mix of politics and dry humour.We were also privileged to have a preview of stunning new poems from Jenni Fagan and if you haven’t read her brilliant novel, The Panopticon, I’d highly recommend it. And to top the night off for me, Jenni bought a copy of Talk of the Toun which meant a LOT to think she wanted to read my work and I only hope it doesn’t disappoint her! Do you have a thriving spoken word scene in your area? Who are your literary idols? John Kennedy – fresh new talent! Magi Gibson gein it laldy! For the third time, I went along to Woo’er with Words with my bestie and I was one of 16 local writers who took part in the monthly spoken word event held in Falkirk. It’s organised by [Untitled] to give writers an opportunity to read their poems and short stories in public. It’s a lovely set-up with a very casual, laid-back atmosphere to experiment with new writing and practise reading aloud. It’s also a great chance to meet like-minded folk and make new friends. There’s a theme for each month and as it’s so close to Valentine’s Day, the obvious choice was ‘love’. I decided to challenge myself to do something out of my comfort zone. I don’t read or write poetry but at a recent workshop, I was given the task of writing a list poem starting with, ‘Who here has… ?’. The idea seemed simple enough so I thought even I could manage to come up with something about love. 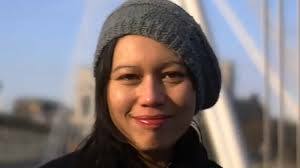 My poem is called ‘Crazy Little Thing’ as I’m intrigued by the things people do and say with the pretext of love. I wanted to hint at the flip side of love when it can morph from being positive to negative when protective turns into being possessive. I’m not convinced my poem worked and it’s probably a one-off for me (some might be glad to hear) and I’ll stick to fiction but it was worth dabbling with something different. I also read out a piece of flash fiction I’d recently submitted to Paragraph Planet. I enjoy writing flash fiction and regularly submit to the Paragraph Planet as I like the discipline of keeping within the rigid word count and have often found that the short pieces have sparked an idea for something much longer. It’s a great cure for writer’s block. The website has been publishing one 75-word paragraph every day since November 2008. Famous authors and aspiring writers have all got involved, submitting a mixture of twist-in-the-tale flash fiction. My latest offering has been submitted in the hope that they might feature it on Valentine’s Day. If it doesn’t get selected, you can get a preview (or only view!) here. I stood at the window but the postman’s van sped past the house in a flash of red. There was no thump of mail on the doormat so no need to check for a card. The single tear rolled down my cheek. My brother shook his head. 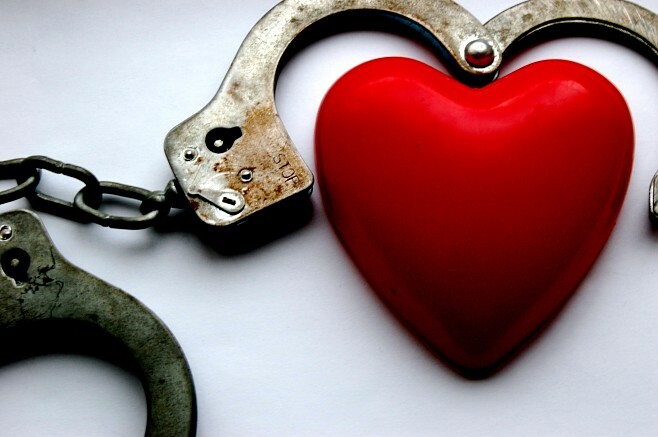 Have you written a love themed poem or story? Do you have a local opportunity to experiment and share your writing? The hype in the Herald made it sounded like a not-to-be-missed event, “a stunning sound and light spectacular that casts a magical atmosphere over Glasgow’s Botanic Gardens.” I’m always up for anything new and interesting that could be inspirational and spark an idea for a story. So me, hubby and our two close friends Anne and Gordon got wrapped up and queued for what we expected to be a magnificent setting for a Saturday night stroll – a tenner a napper worth of winter wonderland. 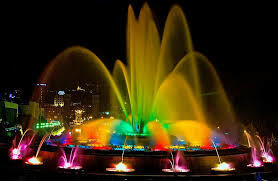 The Magic Fountain of Montjuïc – now THAT’S what I’d call spectacular! The Baltic weather was ideal, a dry crisp night but it turned out to be a damp squib. I’ve been to The Magic Fountain of Montjuïc in Barcelona and on home turf, the Enchanted Forest in Pitlochry and the Electric Glen in Rouken Glen so I’ve seen other light and sound shows. That’s why I feel qualified to judge The Electric Gardens and feel totally underwhelmed by Glasgow’s lame effort. It felt as if someone had been sent to B & Q to relieve them of their unsold Christmas lights in the January sale and dot them around the park. 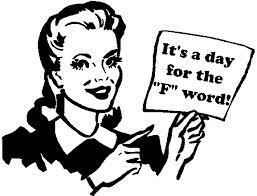 My hubby described the ‘display’ as passive (he’s far more polite than me!) and I couldn’t have summed it up better. Anyone can visit the Botanic Gardens for free and all four of us left wondering where our money had been spent to create an added dimension. Yes, there was a ‘fire show’ but I’ve seen the same type of performance on Buchanan Street any day of the week for the voluntary toss of a coin into a hat. So was it a crap night out? No! Because we made our way down Byres Road to The Sparkle Horse for a lovely meal. The conversation over dinner was far more illuminating than any of the trees we’d strolled past in the park. We covered a range of topics and one of them was the story of the bravery of my hubby’s grandfather in the First World War. There’s plenty of inspiration to be had from this heroic family tale. Earlier that afternoon, along with my best friend, I attended a tribute and celebration of Barbara Hammond’s life who died suddenly at the end of last year. 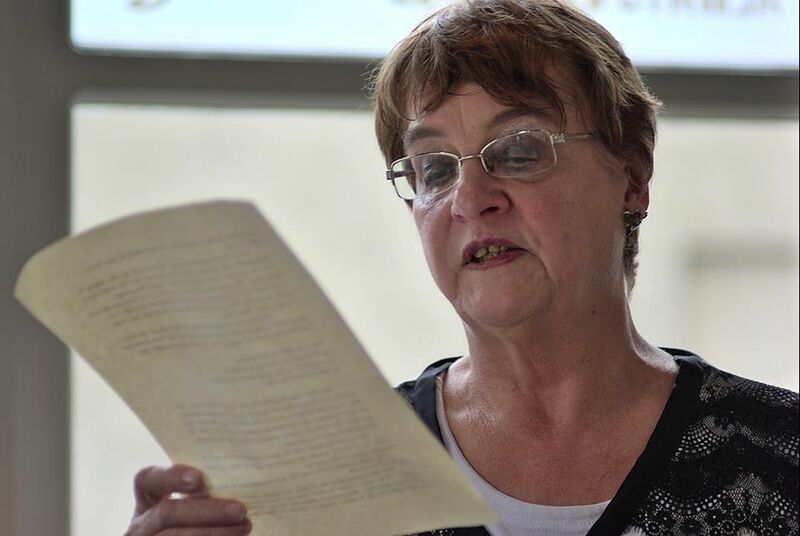 The event was organised by The Write Angle, a platform for new writing by new writers and promoting work by other artists, musicians and craftspeople in the Forth Valley area. Barbara was a highly respected local writer who I met at Woo’er with Words, the excellent spoken word events organised by [Untitled] and held monthly in Falkirk. It was very moving to learn about Barbara’s role as a volunteer for many years in supporting adult literacy programmes. When Gemma, one of Barbara’s students from Skills for Life read out a poem there was no need for special effects. The power of people and their unique stories made Saturday a precious day. I spent it with good friends, sharing extraordinary stories told by ordinary folk. Do family and friends inspire your writing? During December I hibernated, there wasn’t much in my social calendar but January has made up for it and I’ve been to several really interesting events. My latest jaunt was to Edinburgh to attend a masterclass from one of the UK’s top spoken word acts, Francesca Beard, organised by Rally and Broad. To be honest, I’d never heard of Francesca as I’m not familiar with the spoken word scene. I hadn’t heard of the masterclass either until my friend from Twitter, Claire Archibald, gave me the tip-off that she was going and it sounded like a great chance for me to improve my performance technique. The masterclass was billed as “an opportunity to explore your poetic voice through creating a persona and aimed to give you the tools to create a journey arc for your audience. 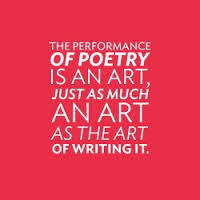 Each participant will write and have the chance to perform a new piece of writing. Please wear comfortable clothing and come prepared to work as well as play“. Two things in the descriptor scared me, ‘poetic voice’ and the bit about ‘playing’ in comfortable clothes. What did that mean? Reciting poetry in a onesie? I’m not a reader or writer of poetry but I’m up for a go at most art forms so dressed in leggings and a stretchy tunic I found myself sitting in a circle at The Counting House with twenty or so other writers. It soon became apparent that most of these folk were experienced spoken word performers, and I wondered if I should slip away and go shopping instead. But Francesca made us all feel safe to experiment and when she asked us to write a list poem I wasn’t frightened to have a go. The list of questions all starting with, ‘Who in the room has ever… ?’ isn’t what I recognise as a poem but I was assured that this was a structure that was particularly effective as an active form to engage an audience. And the biggest surprise for me was that I enjoyed writing a poem! The responsibility of the performer to connect with the audience was something Francesca likened to the writer being the driver of a bus and it was our job to make sure everyone in the audience stayed on board for the entire journey. This means thinking carefully not just about words but also about body language and to be present on stage in every sense. We did several physical exercises to look and sound confident in our delivery. We also spent time creating an introduction for an audience that would give them a sense of our identity. 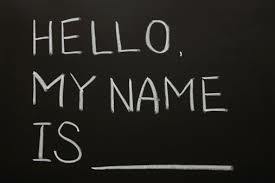 This could take the form of, ‘Here are 5 things you don’t know about me…’ I’d never considered developing a more interesting introduction other than, ‘My name is… ‘so this was a really useful exercise. Throughout the afternoon, Francesca encouraged us to share our inner world with the audience and not to be afraid of being judged as that’s something we can’t control and will happen anyway. The idea of opening up to strangers is a challenge that I’m working on and the masterclass really helped to develop my confidence. How do you connect with your audience? Do you have any tips to share when performing spoken word? There’s lots of advice online about reading your work in public and one of my writer friends, Suzanne Egerton has shared her top tips which are well worth a read. 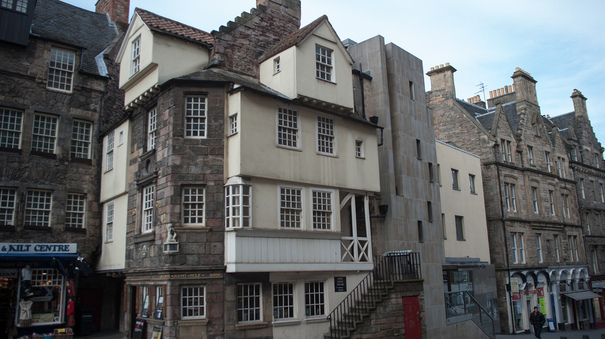 The quirky venue for the course was Scottish Storytelling Centre includes the historic John Knox House on Edinburgh’s historic Royal Mile. But there’s nothing to beat face-to-face training and I was lucky enough to gain a place on the Performance and Presentation Course organised by the Scottish Book Trust with the aim of bringing a writer’s work to life, perform better and overcome nerves. As someone who has a book due to be published next year, I want to make the most of any readings and events I have to promote my writing to engage better with my audience. There’s no hiding place these days, festivals and literary events are now an important part of promoting your work and a great way of connecting with your audience so it’s crucial to get yourself and your writing out there. Although my day job involves public speaking, that doesn’t mean that I felt I’d nothing to learn. And I was right. The course was excellent and I now have a LOT to work on to improve my performance. Alex Gillon is an experienced voice coach who has worked extensively in theatre, television and film and she shared the benefit of her expertise with us by critiquing our performance. The feedback was brutally honest and not for anyone lacking a thick skin. But Alex’s ‘tough love’ style was highly effective as all seven of us made noticeable progress and eventually earned a hard-won “better” from Alex. My main weakness was adding false beats in the text and pausing where there was no full stop or comma. Breathing properly from the abdomen to fuel the voice was a key point for all of us and Alex also emphasised the importance of appropriate body language. The added bonus of the course was that for the second week in a row, I met other lovely writers, in particular, Clare Archibald, a kindred spirit I ‘know’ from Twitter but haven’t managed to cross paths in real life until now. I also enjoyed meeting Stephen Shirres who is the chair of the West Lothian Writers group and Lindsay Littleson who won the Kelpies Prize for her children’s novel, The Mixed-Up Summer of Lily McLean! which will be published early next year. Do you enjoy reading your work aloud in public? Have you received professional training to help develop your performance? What’s your top tip for a great performance?